The bobbly clouds that make this image so startling are called mammatus clouds - a name derived from the Latin word for breast. They hang under the main body of other clouds. 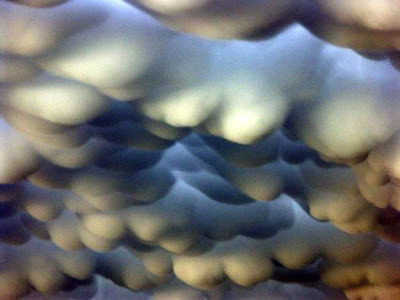 Also, from the excellent Cloud Appreciation Society, a gallery of clouds that look like things.